FOOTBALL: Manchester City Football Club have announced that manager Pep Guardiola has signed a contract extension keeping him at the Club until 2021. Guardiola, who joined City in the summer of 2016, has now committed his future to the English Premier League champions for the next three seasons. This season has seen his team win the Premier League and Carabao Cup in record-breaking fashion. City became the first team of the Premier League era to earn the ‘Centurions’ tag, after registering 100 points with a 1-0 win at Southampton last Sunday (May 13). During the course of an historic campaign, Guardiola’s Blues also set records for consecutive wins (18), total games won (32) and goal difference (+79), earning praise from many observers for their football philosophy. City also recorded the most goals scored (106), most passes in an individual game (1,015) and the biggest ever winning margin of any previous champions (19 points). 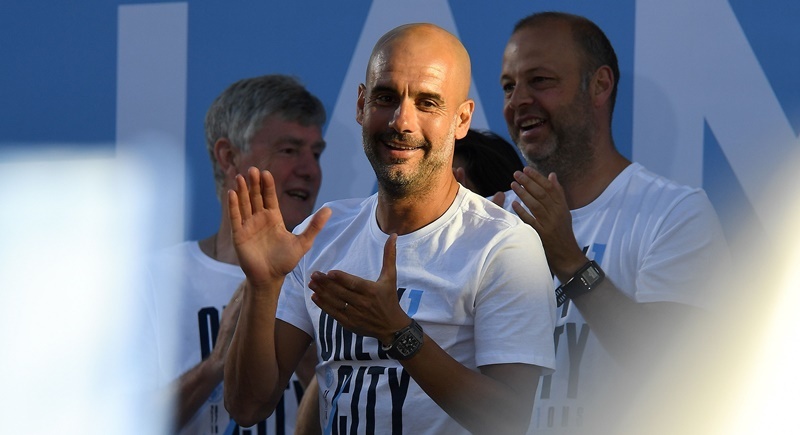 Having lifted both the Premier League trophy and Carabao Cup in his second season with the Club, Guardiola will now look to continue his success over the coming three campaigns on both the domestic and European stages. He was rewarded for his efforts by landing both the Premier League and League Managers Association Manager of the Year awards at the LMA awards dinner on Tuesday evening (May 15). Guardiola said: “I am so happy and excited. It’s a pleasure to be able to work here. Chief Executive Officer, Ferran Soriano, added: “Pep’s contract extension is fantastic news for Manchester City. We have all been privileged to witness how we have played beautiful football, won titles, broken records and reached the incredible mark of 100 Premier League points. Pep has shown this style can succeed in the Premier League in a way it has never been done before.